Michael has over 13 years experience in business development, management, real estate, land conservation and GIS technologies. Michael is owner and partner at Unique Places Real Estate, LLC. He served for nearly 10 years in the land trust industry and worked to conserve directly and in partnership over 160,000 acres of land in New Mexico, Arizona, Alabama and North Carolina. Michael currently serves as the Treasurer on the Board of the Quivira Coalition in addition to serving as Board Chair for Unique Places to Save. He received a Graduate Certificate in GIS from Portland State University in Portland, Oregon and a B.S. in Environmental Science from Western Washington University, Huxley College of the Environment in Bellingham, Washington. Michael hails from rural Arizona and Eastern Washington State. He and his wife currently live in beautiful Albuquerque, New Mexico. Jeff Fisher is Chief Executive Officer of Unique Places, where he provides leadership in business development and real estate investment. 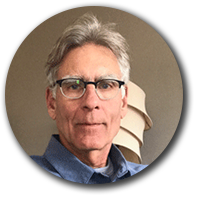 With 18 years of experience in real estate and land and resource conservation, Jeff has been involved in facilitating $500 million in land transactions and generated over $250 million in land conservation funding and tax benefits. Before co-founding Unique Places, Jeff served as Director of The Nature Conservancy’s Delta Project in Arkansas and as Executive Director of the Tar River Land Conservancy. Jeff holds a J.D. from the University of North Carolina at Chapel Hill and an M.E.M. from Duke University’s Nicholas School for the Environment. He also received a Political Science B.A from North Carolina State University. He lives with his wife and two children in Durham, North Carolina. Benjamin Quinn is a business advisor and real estate investor. 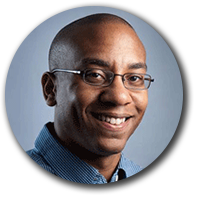 He is founder and CEO of FarmBlue Ventures, a business coaching and consulting firm based in Durham, NC. His diverse background includes private equity, management consulting, tech entrepreneurship, and real estate development. As a business advisor, Ben has helped, launched, and grown over 100 organizations since 1999. As a real estate developer, Ben has worked on over 40 different projects, raised $45 million in project funds, and developed over 170 housing units. 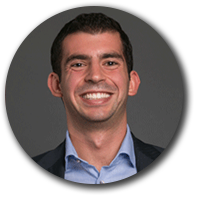 Benjamin Quinn is a graduate of Stanford University and earned an MBA with a focus in entrepreneurship from Duke University’s Fuqua School of Business. Clark is an artist at heart and an entrepreneur by trade. He is currently the co-founder of LoLo - Locals Supporting Locals, a mission-based client engagement program designed to get people to market in a more impactful way for their community. Clark is a native of Wilson, NC, but it could be argued his true home is in the woods or on the banks of a river with a fly rod. His love for nature has taken him around the world to backpack, scuba dive and mountain climb. He also spent 100 days in silence on a fundraising campaign in honor of his late mother in an effort to "Silence Cancer". Adriel Lubarsky is an entrepreneur and investor. As a founder of three companies in e-commerce (NaturalSweetie), food delivery (Morph), and outdoor recreation (Romr), Adriel focuses on bringing a lean, experimental, and action-oriented entrepreneurial approach to all businesses and organizations he advises. He has taught entrepreneurship at the University of North Carolina at Chapel Hill and helped lead Design Thinking courses for North Carolina government and higher education employees. Currently, he scouts for Forefront Venture Partners, an active AngelList syndicate, and works with regulatory groups and entrepreneurs to help transform cities, especially his hometown of New York City, into the smart, connected urban societies future populations need and expect. Adriel is currently Director of Business Development at udelv, a self-driving delivery vehicle creating cleaner and greener cities through cheaper and faster delivery. Mason Williams has enjoyed a long career as a real estate developer, investor, and construction executive. He became a licensed real estate broker in 1977 and licensed general contractor in 1978. Mason has founded two companies, Mason Williams Construction and Williams Russell Building, earning awards from the city of Raleigh, NC and the American Builders and Contractors Association for contributing to the enhancement of the beauty of the city of Raleigh and excellence in construction, respectively. He is a former chair and member of the Wake County, NC planning board and former President of the Raleigh/Wake Homebuilders Association. He has freely given his time and expertise to a number of area organizations as a director and advisor, including the North Carolina Museum of Art Foundation, the Cape Lookout National Seashore, the Triangle Community Coalition, Montessori School of Raleigh, Contractors Professional Network, and the American Cancer Society Leadership Council. Leigh-Kathryn is a 2015 graduate of NC State University and is the founder and CEO of Bee Downtown. Leigh-Kathryn’s innovative approach to sustainable agriculture and employee engagement has landed the young entrepreneur contracts with some of the largest companies in the country including AT&T, Cox Enterprises, Delta, and Chick-Fil-A. In just 3 and 1/2 years since graduating, Leigh-Kathryn has been awarded the designation of 2017 Southern Living Southerner of the Year, 2018 INC Magazine 30 Under 30 Rising Star, and most recently, 2019 Forbes 30 Under 30.